1. Toyota's well-manicured reputation for quality was trashed over a crisis about unintended acceleration. After blaming floor mats and then sticky gasoline pedals, the company launched global recalls of millions of vehicles. The reaction was swift and furious: congressional hearings, a record federal fine, mountains of lawsuits and a media frenzy. Sales plummeted. 2. 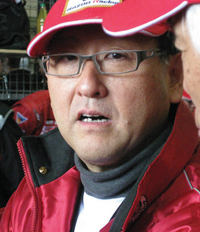 Meanwhile, President Akio Toyoda was missing in action when the quality disaster exploded. He finally emerged to address the Japanese public, not customers in North America, which was at the core of the crisis. Toyoda finally got a chance to make his appeal after being called to testify before Congress on whether his company was hiding the facts. 3. In spring, Chevrolet marketers wrote an internal memo advising staffers to avoid using the word "Chevy." Oops. The New York Times got a copy and wrote a story. The marketing staff that had failed to realize the value of the beloved nickname came off as clueless. 4. In March, General Motors acknowledged that it had cut its dealership roster too deeply in the 2009 bankruptcy. The closures would crimp much-needed sales, particularly in small towns, a GM strength. The company restored 661 of the 1,350 dealerships targeted for closure. 5. Toyota decided in April to close the New United Motor Manufacturing Inc. plant in Fremont, Calif., after General Motors pulled out of the joint venture. 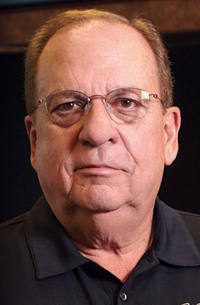 To protest the decision, Bob King, the UAW's new president, organized demonstrations at Toyota dealerships. He also wanted to win support to organize Toyota plants in the United States. But the union later dropped the demonstrations. The UAW decided to drop its adversarial approach -- and pitch partnership with automakers -- to organize transplants. 6. Just days before obtaining EPA certification for its diesel-powered compact pickup, India's Mahindra & Mahindra declared dead its deal with its U.S. distributor, John Perez of suburban Atlanta. The fiasco left Perez's 347 U.S. dealers with no vehicles and lost franchise fees -- for now, at least. Mahindra says it may offer franchise agreements to some of Perez's dealers. 7. GM reduced participation at the National Automobile Dealers Association's convention, canceling, for instance, its exhibit on the exposition floor. The automaker was protesting NADA's decision to support federal legislation that mandated arbitration for rejected GM dealers. But GM's actions accomplished nothing. At the show, Mark Reuss, president of GM North America, met with NADA officials and buried the hatchet. 8. A hybrid marketing strategy to counter the Toyota Prius still eludes Honda Motor Co. The automaker billed the new CR-Z hybrid as both sporty and fuel-efficient. But critics said Honda made too many compromises, making it neither fun to drive nor particularly economical. Meanwhile, sales of the Honda Insight hybrid continue to disappoint. 9. Ford Motor Co. handled the death of Mercury poorly. It told dealers in February that a new, small Mercury was in the pipeline, a sister to the redesigned Ford Focus. But in June Ford said never mind -- that it would kill the brand by year end. 10. Nissan Motor Co. and General Motors Co. were forced into damage control after the EPA issued range estimates for the highly touted Nissan Leaf and Chevrolet Volt. The EPA rated the Leaf's range at 73 miles on a full battery charge. Nissan had been touting up to 100 miles. The EPA said the Volt range on one charge was 35 miles, while GM had said it could go up to 50.